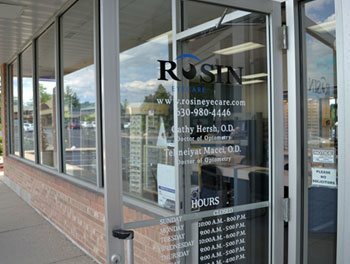 Since 1930, Rosin Eyecare has been known for our expert care, personable service, and impressive inventory. For more than 80 years, Rosin Eyecare’s dedicated staff and doctors have strived to give every patient the best care possible. Bloomingdale Optical partnered with Rosin Eyecare in October 2015. We pride our staff on their ability to care for patients and their needs. Besides being able to pick from over 900 frames, our staff is knowledgeable on the most up-to-date technology in every aspect of optics. Not only do we choose the best frame, we strive to match that frame with the perfect lens choice for each patient’s individual needs. Our goal is to constantly provide our customers with the most current styles and professional service. 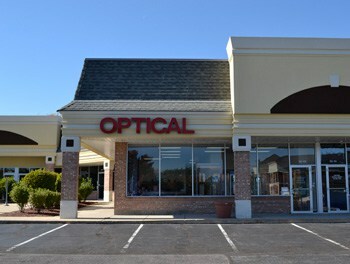 This location offers a wide variety of eye care services, from annual vision exams to LASIK consultations and procedures. Our expert staff will happily assist you with any questions you may have regarding the procedure, as well as treating medical conditions like glaucoma. Our eye examinations are second to none, and we can help you choose from our large inventory of frames and a wide array of spectacle lens and contacts lens styles. With frames for men, women and children, our Bloomingdale office has everything you need to maintain the best vision possible. Call us today for an appointment at (630) 980-4446. *From the West: Take Hwy 20 E (W Lake St) for S Bloomingdale Rd. Turn right onto S Bloomingdale Rd and continue past Bloomingdale Park District Museum. We are located next to Kumon Math and Reading Center of Bloomingdale and Jimador Mexican. *From the East: Take Hwy 20 W for S Bloomingdale Rd. Continue past Springbrook Shopping Center and then turn left onto S Bloomingdale Rd. We are located next to Kumon Math and Reading Center of Bloomingdale and Jimador Mexican. Decided to stay local and support a business that I’ve seen many times but never went in. I went in for an eye exam and needed new glasses. I placed the order and they came back quickly and made perfectly. The staff was very helpful, took most major insurance and the doctor was very friendly. For a routine eye exam, I highly recommend Dr. McAllister – she’s very friendly, knows her stuff, and gets you in and out ASAP! I only purchase contacts here (I have an old pair of glasses that I never both to update because I only wear it briefly at night), and their pricing is typical. They’re really quick about placing an updated contacts order, and the box usually arrives on my doorstep a few days later. Very straightforward place – no complaints!